In a situation that can only be described as a complete paradox, Australia’s richest literary prize has been won by someone who cannot collect the accolade because he’s not allowed to enter Australia. Behrouz Boochani is a failed asylum seeker from Iran who has been held on Manus Island in Papua New Guinea for almost six years. The place doesn’t get much coverage for an offshore detention centre that holds failed refugees indefinitely, and maybe it should but all that might be about to change as Boochani’s book is about his time on the island and his attempted journey to safety. 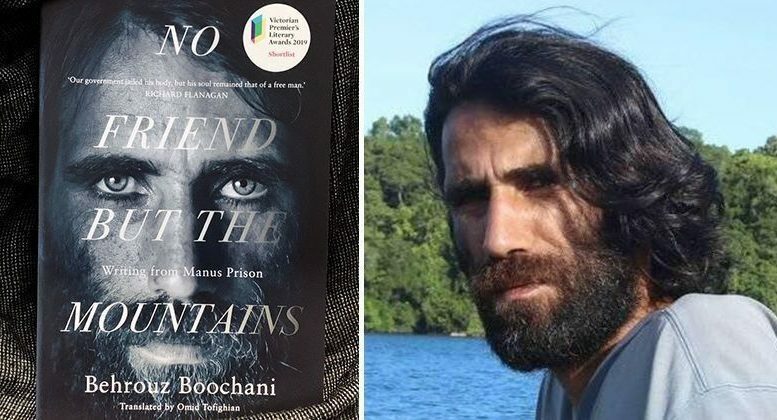 No Friend but the Mountains is Behrouz Boochani’s debut book and it was composed one text message at a time from within the detention center. You read that right, the entire book was written via text message. However, now he has been recognized by an award from the same country that denied him access and locked him up indefinitely. He’s won the $25,000 nonfiction prize at the Victorian premier’s literary awards and the $100,000 Victorian prize for literature at the end of last week. He says he didn’t write the book to win an award but he wanted the people in Australia and around the world to understand how deeply this system has tortured innocent people on Manus and Nauru for six years. He hopes the award will bring attention to the situation and create change, ending what he calls a barbaric practice. Under Australia’s hardline immigration policy, asylum seekers who try to reach the country are processed at offshore centres, it sounds practical but the reality is shown by this man who has now written about his six-year detention. Be the first to comment on "Detained Asylum Seeker Wins Prestigious Australian Literary Award"